The MDX AVG Function is used to calculate the average of non empty members present in the specified Set. 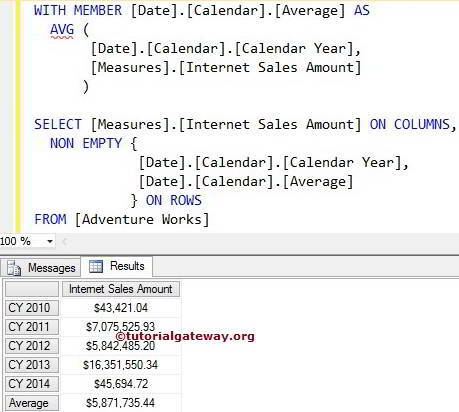 This is similar to SQL AVG Function. TIP: The MDX Average Function will ignore the NULL values while calculating the Average. Set_Expression: Any Multidimensional Expression that returns valid Set. Numeric_Expression: Any Multidimensional Expression that returns numeric value. In general, we use the required Measure value here. In this article we will show you, How to calculate the average using AVG function with examples. For this, we are going to use below shown data. 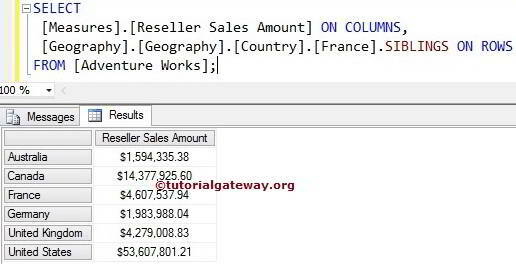 The following query will return the Reseller Sales amount of all the countries present in the Countries and also calculate the average of their Sales Amounts using the MDX AVG Function. 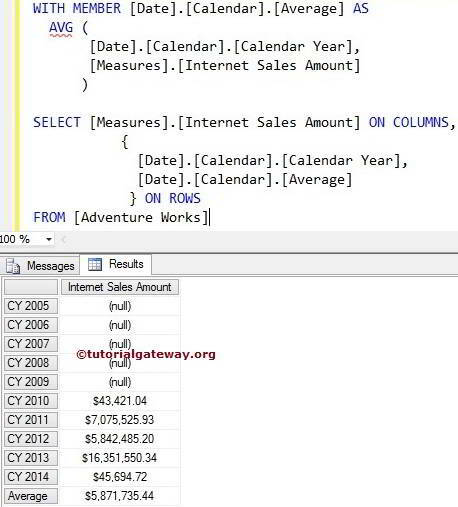 The following query will return the Internet Sales amount of all the calendar years present in the Date dimension and also calculate the average of their Sales Amounts using the MDX AVG Function. In the next statement, We selected the Internet Sales Amount on columns and then Set of calendar Years and calculated Member ([Date].[Calendar]. [Average]) on rows. We also used the NON EMPTY Function to avoid the NULL Values. 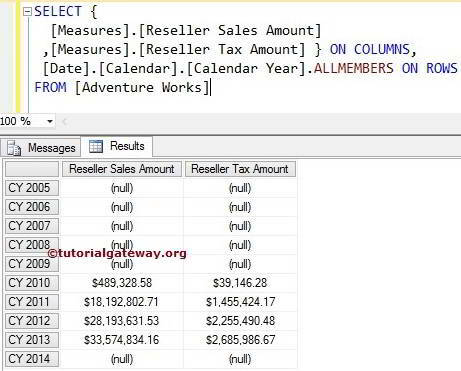 In this example we will show you, What happen when we have null values. 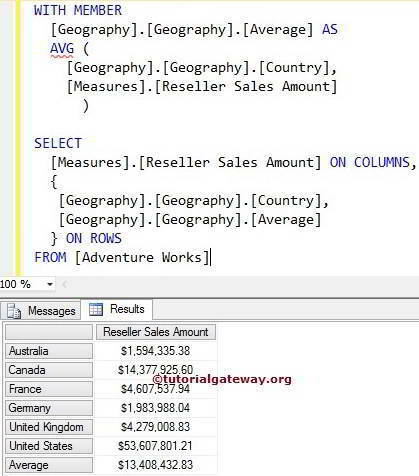 For this, We are using the above MDX Query without NON EMPTY Function. If you observe the result, We are getting the same average for example 2 and 3. This is because, AVG function does not consider the members with NULL Values. It means, AVG Function is calculating average from CY 2010 to CY 2014.